Interesting idea, I've noticed a small dent on the header pipe right where the bend is where the stock small faring thing is. It's not a huge dent, but enough that I know its there. I need to find somebody with a big freezer. I've noticed a dent on mine right on the curve where the belly pan is - looks like it has bottomed out at some point. Is that where your dent is too? Great tip! Will try to this with my bent headers this weekend. 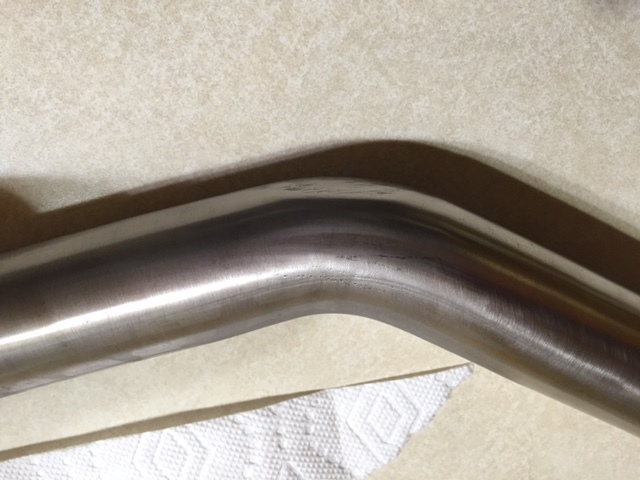 Just dropped my SS TBR exhaust header in my buddy's freezer... Hope this works!!! Ok, it works just picked up my header from my buddy's freezer. Dent gone, happy camper my bike is excited whoooo-hooooo!!!! Pix to follow! Nice! Give us some before and after pictures if possible. So I followed the dialog on the forum to take the dent out of the header I bought from Capt Chaos. 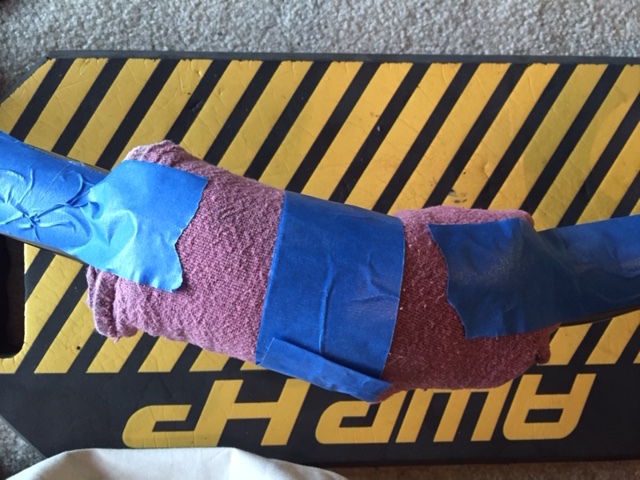 I wrapped the dented area in a towel to insulate it from the surrounding tube using blue masking tape to secure the towel. 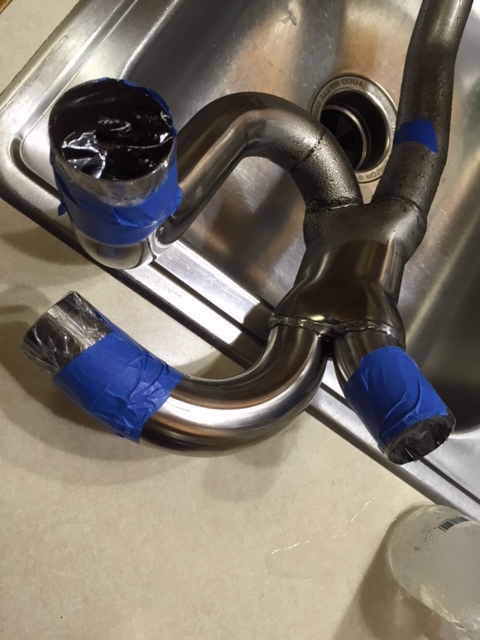 I then used Saran Wrap and blue masking tape to secure all other outlets but one. I then filled the header until the the water extended about 6" past the dent on each side. I then taped up the headers last entry/exit with Saran and blue tape then into the deep freeze! The unpolished pix were shot by Capt Chaos to show the dent. I then cleaned up the header the after shots show the dent 99% removed I am soooo happy with the result! Last edited by Fastguy59; 05-08-2016 at 08:08 AM. Were the edges of the dent creased, or just rolled in? Bobby, for those that can't see the pictures, go to your album and underneath the picture will be the url. Copy that url and paste it here. Then your album pictures will show up in this post. That's pretty cool that it actually works. 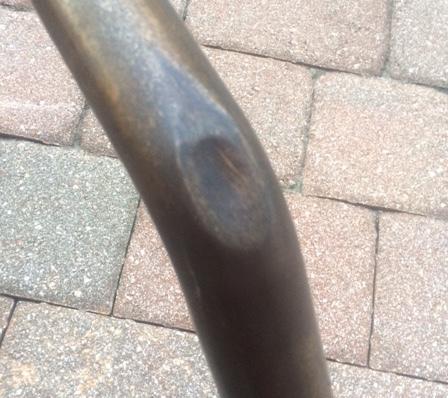 A header I have has a dent in the normal spot. I think I'll give this a shot. 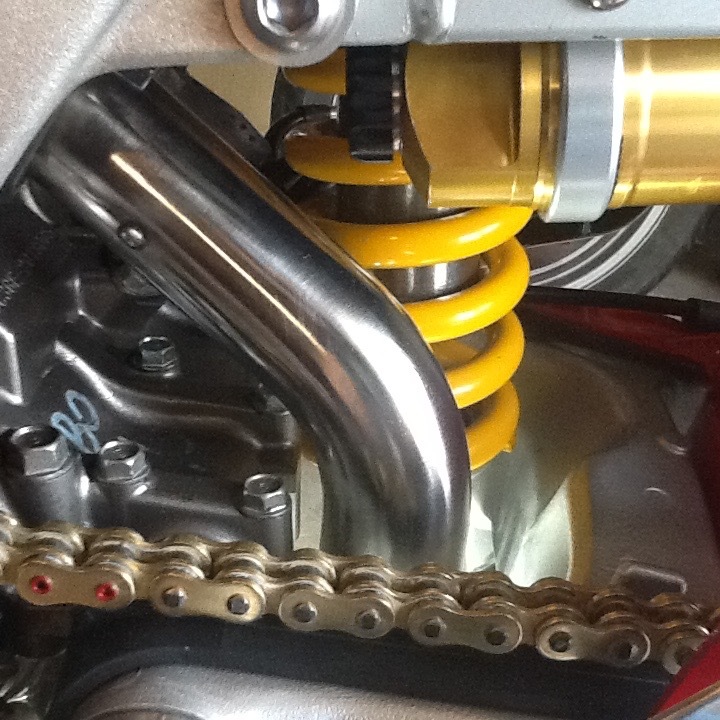 One more thing, how did you get your header polished up? 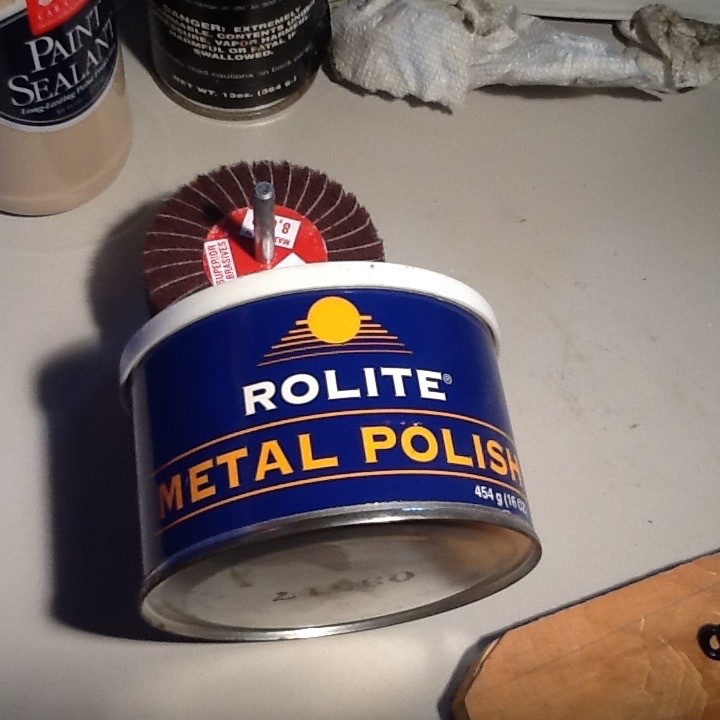 I was thinking of using 400 grit, then 800, then 1000. And then polish. That about what you do? So I finally got the pix downsized to comply with the forum attachment manager. Awesome! Thanks for the tip. 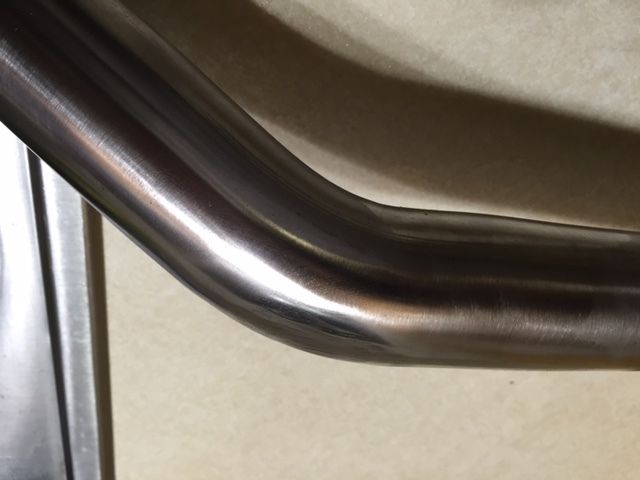 Looking at your header, I kind of like the brushed finish more than the polished. It would match my paint scheme better. I think I will go that route now. Thanks for posting those pictures. Looking good... Now what's the best way to make sure it doesn't get a dent again? When you see a speed bump in your path, wheelie. 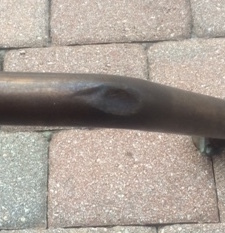 Dent/damage on mid pipe. Newbie Q.